Sharp X68000 Series 5.25in.Disk. 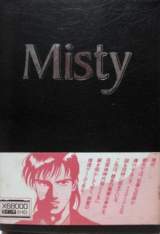 published 28 years ago by Data West, Inc.
Misty 68K Vol. 7 - Yami no Naka no Shikisai © 1991 Data West, Inc. Adventure game made of a scenario submitted by the public. Released on January 25, 1991 in Japan.